Holey cheese! 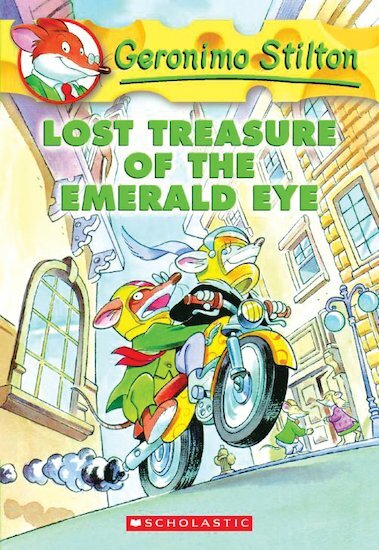 Can’t Geronimo Stilton ever kick back and enjoy a quiet life? Nope! He’s off on yet another daft mission! His sister, Thea, has found a mysterious map. It points to a faraway tropical island, where secret treasure waits to be found. Thea drags Geronimo and his cousin, Trap, into her treasure hunt. The mice can’t wait to find the jewels! But will the mystery of the Emerald Eye have them stumped, after all?